Absolute Process Instruments (API) manufactures signal conditions and transmitters for converting a wide variety of process signals. 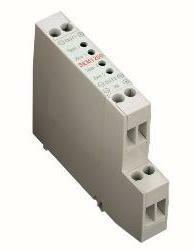 They also offer current sensors, isolators and signal splitters in module or DIN rail packaging. 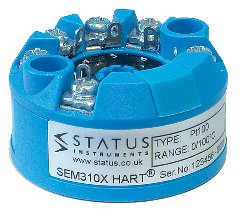 Status Instruments manufactures temperature transmitters and signal conditioners for industrial process control including: loop splitters, isolators, and relay alarms. 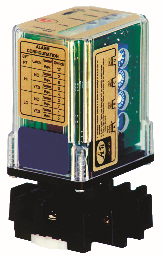 The DM650VI is a battery powered process signal indicator. The instrument accepts a signal within t.. The SEM1000 loop isolator is an ideal solution to overcome ground loops. Designed to be series conne.. The SEM1015 is a (4 to 20) mA loop powered isolator that can be configured to accept voltages betwee.. The SEM1020 is a loop isolator designed to provide extra drive capability from an existing current l.. The SEM1200 is a current loop splitter that provides two isolated (4 to 20) mA passive outputs from .. The SEM1600B is a ???smart??? powered bridge amplifier for use with load cell signals. The product h.. The SEM1600F is a cost effective ???smart??? powered conditioner that accepts all common process pul.. The SEM1600T accepts resistance or mV signals from RTD, Slidewire or Thermocouple sensors. Other sen.. The SEM1600VI is a ???smart??? 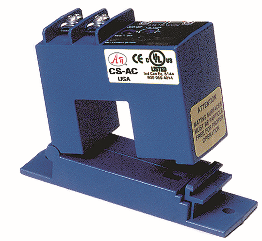 powered isolator/conditioner that accepts any voltage signal between .. The SEM1620 signal conditioner provides a 3-wire isolated voltage output signal and accepts RTD, The.. The SEM1630 provides a dual relay switch function for RTD or Thermocouple sensors as well as mA and.. The SEM1633 provides an accurate alarm / switching function when used with RTD or Slidewire sensors.. The SEM1636 monitors a (4 to 20) mA loop and provides two independent change over relay contacts se.. The SEM1700 is a DIN rail mounted universal signal conditioner. It accepts RTD, Thermocouple,.. 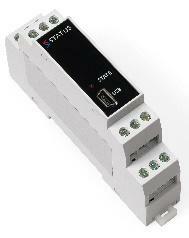 The SEM1720 is a DIN rail mounted dual independent channel signal conditioner. It accepts RTD..